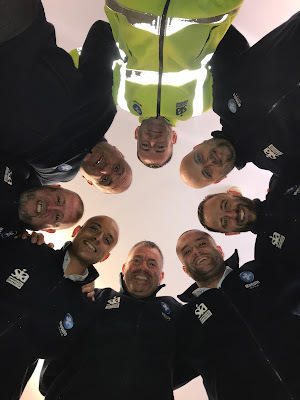 On Wednesday 18th October 2017, Magpie Security Ltd celebrates its 15th year operating within the security industry. From the birth of the business in 2002, the company has made phenomenal strides to become the premier security and training specialist within Nottinghamshire. Landmark projects to date have included NET Phase 2, Bio City and the army’s Defence and National Rehabilitation Centre to name but a few. 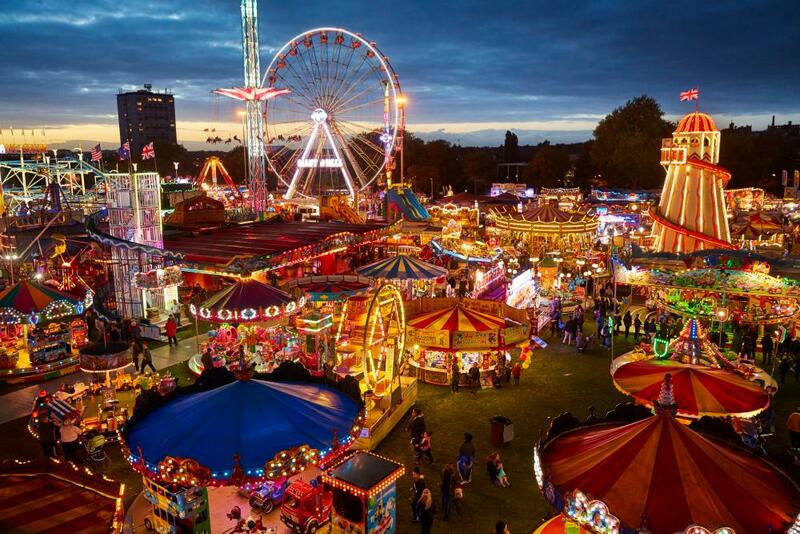 A night out at the Nottingham Goose Fair is a great experience that has been enjoyed by families for generations. The ambiance, the smell of the hot dogs and the thrill of the rides can make for an unforgettable experience. But how can you be sure you, your family, friends including loved ones stay safe? Make it good practice to know the location of Emergency Exits and First Aid points in case of the unlikely event of any illness or incident. Maintain your awareness, keep your eyes up, and off the smart phone, as large crowds are an absolute pick pocketers paradise as well distraction robberies. Keep your keys separate from your bag and easy to access, not only does this mean you can get inside quickly, if you’re your bag is stolen you can still get home. Do not take short cuts in poorly lit areas, parks or alleyways, trust your intuition? If it does not feel right move away fast, seek help if required. Only use licensed Taxis and pre-book them if you can. At least then they are looking for you. Finally, listen to your intuition and follow your instincts to safety. Don’t be afraid to be impolite, and never stay in an uncomfortable situation. Over the next few days students across the country will be moving away from home for the first time to attend colleges and universities in brand new cities and towns. For most students, college is the first time they will be living without supervision, making their own decisions, experimenting with different social scenes and staying out late -- all while being surrounded by new and unfamiliar faces. While the college experience is always exciting and life changing, often these new living arrangements can present students with circumstances in which they are unsure how to navigate the social scene while protecting and defending themselves. Always trust your instinct. If your gut is telling you something doesn’t feel right, it probably isn’t (your more perceptive than you think). Go back to where you came from, contact campus security or find people as quickly as you can. Always travel in groups. Never walk alone at night. Avoid "shortcuts". Criminals, like predators, try to isolate their prey from the herd. Groups are less likely to be confronted, so “buddy up” for the walk home. Never trust your assailant. Criminals are cunning and can be extremely persuasive. Most likely they will approach you in a friendly manner and appeal to your common senses. No matter what they say or how convincing they are, never believe them. Campus security is the best team for the job. Never leave the area. Your attacker needs to isolate you. In order to do that, they will use force or any persuasive manoeuvre to convince you that going with them is in your best interest. Don’t go, even when faced with an armed assailant. Put as much space between you and them as fast as possible. The Magpie Security Training Academy provides quality personal protection and self-defence instruction training programs that provide a maximum effect with a minimum of time invested. Contact Steve Drake on 0115 9866 000 to discuss your needs. Recently, The Harley Jae Trust organised a networking event in the form of a family fun day at Newstead Abbey and children and the families that have been supported by us were invited to the event. Before the event, the Nottingham Paediatric Critical Care Unit approached us, asking whether we could fund an event that would give children with life limiting conditions and their families an opportunity to meet families who are experiencing similar challenges. We knew this event would be beneficial to all parties involved, allowing children with several different difficulties including epilepsy, long term ventilation, physical disabilities and neurological impairments to meet each other and allow families to connect with one another. The event was a great opportunity for families to share their experiences and support each other. The event, which was held in the grounds of Newstead Abbey, offered a great day for the children and families including crafts, games, activities and food. All of which were provided free of charge to the families that attended. Also in attendance were twenty nurses that have helped in supporting the children in the Paediatric Care Unit. 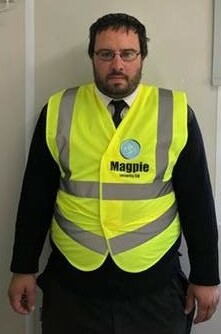 Magpie Security Ltd would like to congratulate Sam on his Employee of the Month Award. The Magpie Management Team has received exceptional feedback from the client in regards to Sam’s professional approach & attitude.